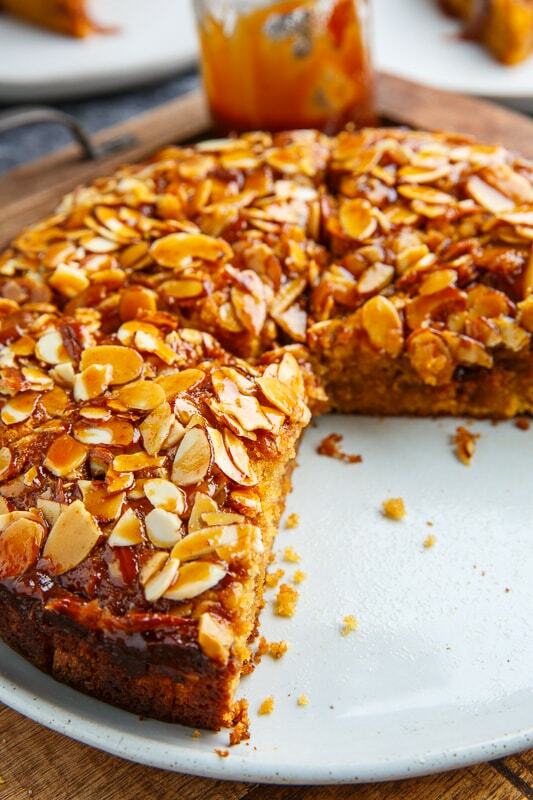 A light and moist almond cake, soaked with caramel sauce! I was looking at some recipes for Mother’s Day and I started with dessert! 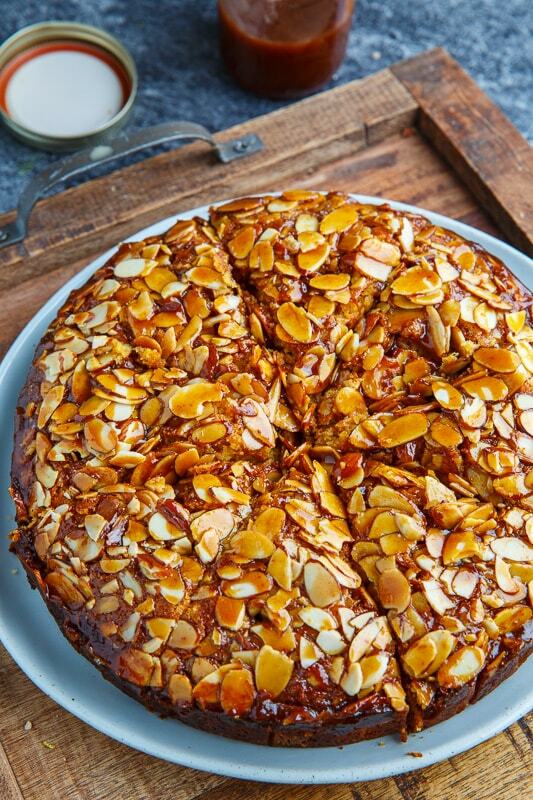 This caramel soaked almond cake is decadently divine and perfect for any special occasion. 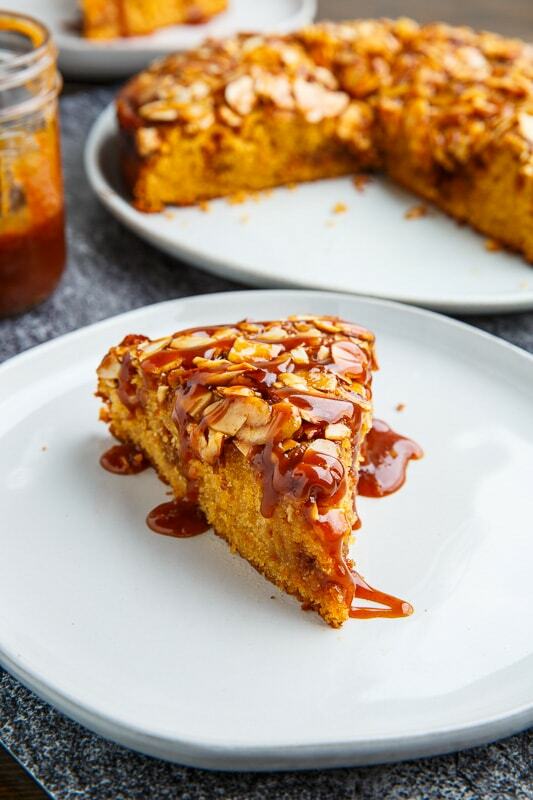 It’s a super simple almond cake recipe that uses half almond flour and half all-purpose flour and it replaces half of the sugar with caramel sauce! 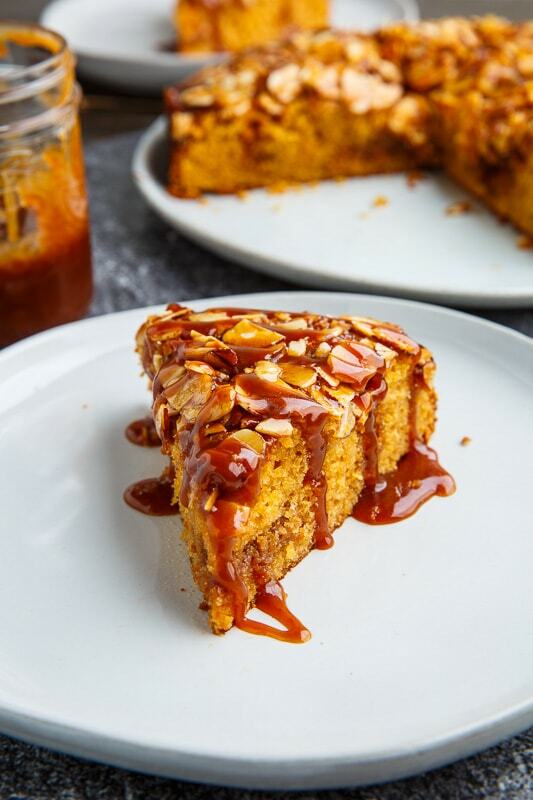 The combination of butter, almond flour and caramel sauce helps keep the cake nice and moist while still being light and fluffy! 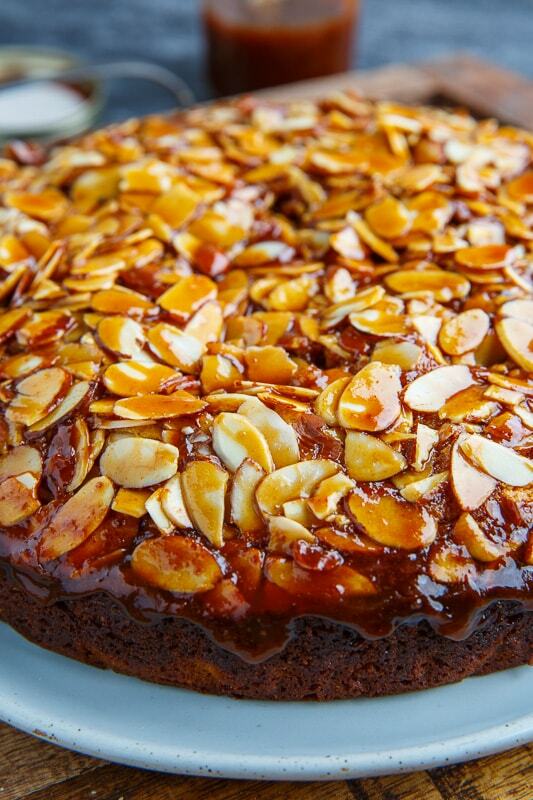 Almonds are sprinkled on for a crunchy topping and when the cake is pulled out of the oven more caramel sauce is poured over the top to soak into the cake while it cools! The cake can be finished of with a pinch of flaked salt, because, who doesn’t love an salted caramel? I sometimes like to make this cake with dulce de leche instead of caramel sauce. Cream the butter and sugar, mix in the caramel sauce, and beat in the eggs one at a time. When you remove the cake from the oven, pierce it many times with a thin knife or large toothpick, pour on the caramel sauce and let it soak in while the cake cools. Optionally sprinkle on some flaked salt fop a salted caramel version! Do you remove the Cake from the pan before pouring the Carmel sauce? Lyn: Pour the caramel on while it is still in the pan. Enjoy!